The Perfect Guy is nothing special. It’s your average, everyday domestic thriller. It wouldn’t be out of place among the flurry of post-Fatal Attraction knock-offs that filled video stores throughout the ’80s and ’90s. The only real difference here is race. Instead of playing to the standard Caucasian demo, David Rosenthal aims for the underserved audience that’s been turning up for anything Tyler Perry’s done over the last decade. This doesn’t mean the movie’s good, just different, and in a color blind cinema, mediocrity knows no prejudice. Our heroine is the bright and supposedly smart lobbyist Leah Vaughn (Sanaa Lathan) who is having commitment issues with her current boyfriend, David (Morris Chestnut). She wants to settle down and start a family. Guess what he doesn’t want to do. 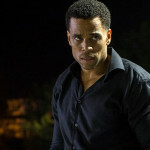 Anyway, Leah meets up with an IT hunk named Carter (Michael Ealy) and they start getting close. Of course, this guy turns out to be an unhinged loon, causing our lead to seek the help of the kind of cop (Holt McCallany) who likes to suggest restraining orders and then scoff and say “I told you so,” when our nutjob violates them. People die, the plot chugs along predictably, and in the end, we get the regulation motion picture standoff and completely forced finale. The Perfect Guy is like a panacea. It’s not meant to be good, or even acceptable. Instead, it’s headline fodder, a way for the studios to feel superior to its dwindling general audience. Because they’ve discovered how to micromanage their movies into reliable hits — or at the very least, less destructive flops — they can afford to spend a few million on this muck ($12 million to be exact) knowing that at least twice that will show up on opening weekend ($27 million). Who cares about character? We’re making bank. 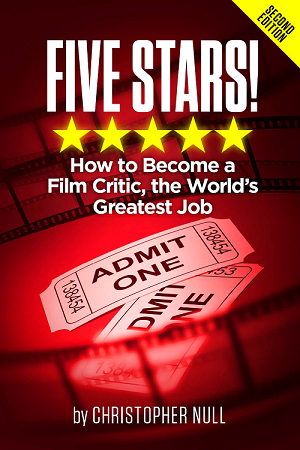 Who cares about compelling narrative or genre reinvention? Just keep collecting the coin and be on the lookout for the next “sure” thing. This business model has proved so successful that you can see its blueprints all over this film. The actors do their best (Ms. Lathan and Mr. Ealy are especially good in what are little more than plot points) and yet they can’t elevate this hackwork. They are just pawns, placed randomly inside something that a bunch of bean counters figure will strike gold, either at the box office or on home video. Who needs art? Who needs intrigue? Those are fallacies from a bygone era. Instead, just put some pretty people in front of lens, offer up a collection of recognizable contrivances, and watch the bottom line. Now there is nothing wrong with generic product — no matter the ethnicity — as long as it’s done well. But as a director, Rosenthal shows no style. There is no sense of dread here, no suspense as to what will happen and who will survive. When a nosy neighbor (Tess Harper) comes over to snoop around Leah’s empty home, guess who’s got a date with death? Equally aggravating is how Ealy is a suspect right off the bat, and yet problematic police work undermines his possible arrest at every turn. Guess the Keystone Kops are still alive and well and living within an urban thriller. All of this makes The Perfect Guy a colossal waste of time. All cultural appeal aside, it offers nothing new in the way of thrills or chills. It just repurposes the past for a couldn’t care less contemporary crowd. Back in the ’70s, blaxploitation did the same thing, but it did so with flair and an incredibly fresh approach. Since Madea made her way into the hearts of African American audiences across the globe, bland has been the buzzword for such entertainment. The Perfect Guy is no different.